Well hello there, you peculiar treasures! 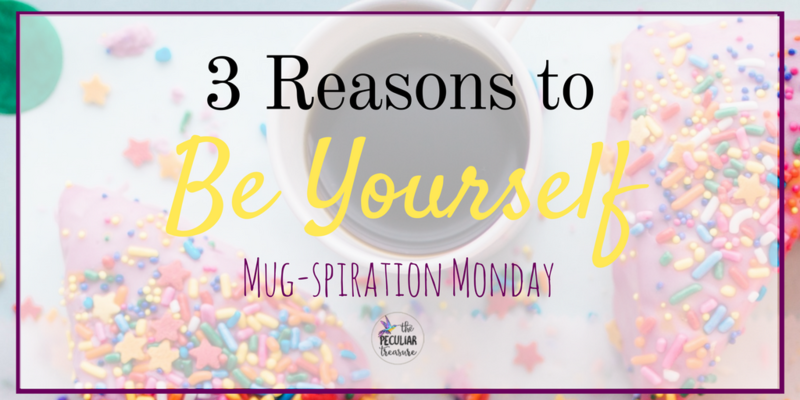 It's Monday again already and it's time to embrace early mornings, fresh coffee, and a little bit of Mug-spiration! If you haven't noticed yet, I love showing my own weirdness. 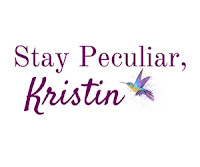 I love creating my own words, embracing my own humor, and being okay with my own peculiarities. I already liked those things, but recently I have been taking an ecourse that came in The Genius Blogger Toolkit by Allison Mitchell of Wonderlass. It's called "Rave" and it's all about learning to be yourself and creating a brand or business that attracts true, loyal fans. Allison makes me want to rock my weirdness even more than I have wanted to in the past, and she has started helping me realize that it really is okay to do that. If you get my newsletter, then you already know how much I am enjoying Allison's course. 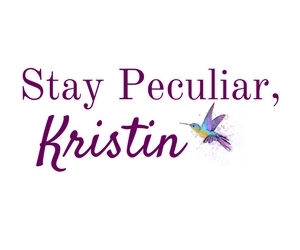 And *shameless plug* if you don't get my newsletter, you are missin' out! Anywhooo, as I have been thinking about the whole concept of being myself and embracing my own oddities, I have also thought about how our quirks and individuality can be used to make a wonderful impact on the world. Don't get what I mean? Keep reading! If you are anything like me, you are probably scared that being fully yourself will alienate those who can't relate to you. Maybe you've realized that not everyone is going to like you, so you try to figure out a way to please the masses. But the thing about that method is that not only will you never be able to please everyone, but you will also end up gypping those who would have greatly benefited from your influence. But if we choose to be ourselves and let God use our quirks and unique personalities to bless those around us, we will start to be more beneficial to the one's God has placed in our lives for a reason. Sure, we may lose some of the people who liked us better when we weren't ourselves, but we probably wouldn't have influenced them anyway. I think sometimes, we truly desire to be authentic, but we are so worried that people won't like us that we are only half-authentic without even realizing it. We are scared that if we don't sit in the middle of the road, we won't influence enough people. But as we already discussed, we'll end up influencing less people if no one feels that they can fully relate to us. But if we start rocking our weirdness and truly being ourselves, we won't have to constantly wonder if we are being authentic. It will just come naturally. When we learn to be ourselves, we start to see ourselves for who we really are- the good, the bad, and the ugly. And as scary as that can be, it's also freeing because it helps us become self-aware and helps us give to God things that we never even realized were happening within ourselves. 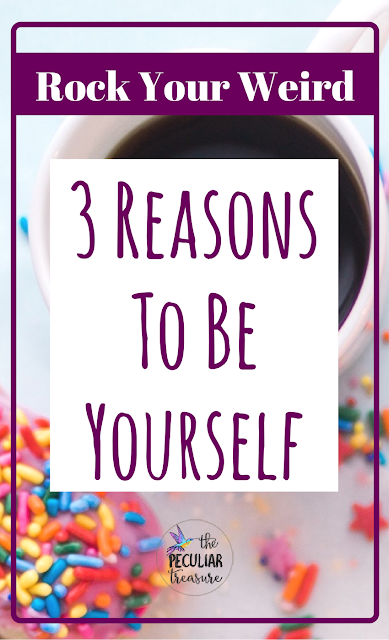 It may sound odd, but learning to be ourselves on a daily basis continues to increase our self-awareness and helps us grow as individuals and as Christians. I hope that you will start thinking on your own qualities, and sort through which ones may actually be positive attributes. Think of how you can use them to influence others towards good and godly things. It's true that we will find some of our quirks to be negative, and some to be neutral, but we will also find some that are positive and we need to start using those well instead of just letting them sit idly by. Do you have any peculiar qualities that you could start using for the good of others? Comment below. I love this post! Especially the bit about authenticity and attracting true loyal followers. If you aren't being yourself, neither of those things will happen! I don't know if my weird helps the greater good (lol) but I rock it! LOVE this! This is much needed encouragement, especially in today's culture!! 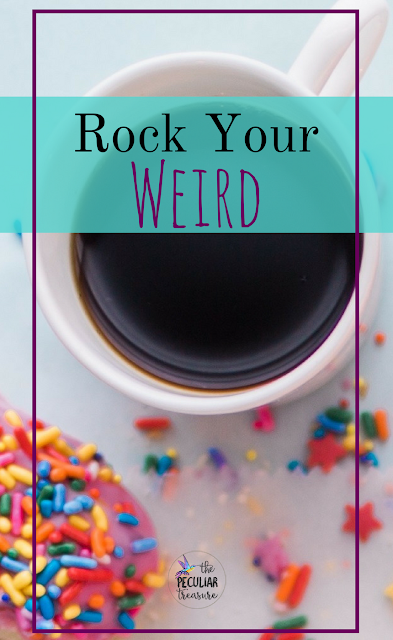 I agree completely with your three reasons to rock your weird. Not having to fake being authentic and truly being able to connect with others is a key part of accepting who you are. Amazing reminder! I'm a bit of a weird nut too. I'm finally in the stage of life that I embrace it and not try to hide it. I love to laugh, be silly and express myself. Fortunately, my weirdness seems to be a blessing to others, but I do not fit into the mold of the "serious" "deep" pastor's wife in a Black Baptist church. My afro and jeans often break right through folks' perceptions, but I gotta be me. Great reminder post! I love this reminder. Though I still struggle with being my authentic self in some situations, I find that it's become much easier with age. With age, you realize that the things that sets you apart from other people are the things that should be embraced and celebrated, not hidden! Your influence will be higher quality-YES! When we are ourselves, our influence increases! Being yourself gives others the freedom to be themselves and experience the grace and acceptance God offers! Love this! It's taken me many years to fully embrace my awkward, quirky self! Love this inspiration for others to flaunt their own weird qualities! I'm early to bed, early to rise. Everyone knows that I want to go to bed at 9:00PM....any day of the week. I really like to be home by 8:00PM. I used to hate that people gave me a hard time about having to go to bed so early but now that's just something I embrace. No shame ;-) Good points in the blog. Just be yourself! I love this! I have learned time and time again it's better to just be yourself and now I am very aware of the person I am. I totally agree with you. What's awesome is that our generation is prioritizing authenticity above almost anything else - and the place where that's most evident is on social media and blogs, where you have to differentiate yourself from other people in order to establish your own niche of sorts. I can see it changing in real life, too, as our generation gets older and has a greater impact on the world around us! hahah YES GIRL!!!!! Legit my goal for 2017 was to "get weird" with my style!!! I love being different. Thanks for shaing the same enthusiasm!! I am truly learning to live and love my authentic self, flaws and all. It's so easy to get caught up in the hype of everything and lose yourself. But at the end of the day I am who I am, and that's the best I can be. And honestly I like me! This is so so true. I used to be really insecure about who I was. I am a real girly girl and I used to be embarrassed about that and try to hide it but now I fully embrace it. That's who I am and I'm not gonna change that! LOVE LOVE LOVE!!!! I see way too many people trying to fit in when they are leaving so much behind by being themselves. Love this! This is perfect. I try so hard to keep myself 100% totally ME! This is such a great post. For the longest time I felt like I had to "hide" who I was, especially on the dating scene. That was, until my husband came along, I found being who I really was was really freeing, and my husband fell in love with me for ME, not for someone who I was not.